Chophouse Row‘s newest addition is ready to serve you for lunch. 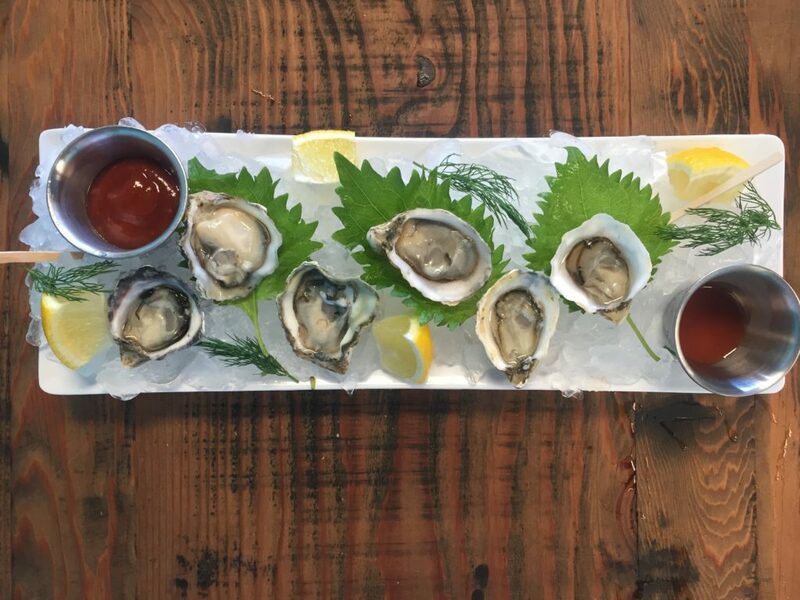 Marmite (pronounced “mar meet”) has been a highly anticipated new restaurant in the Capitol Hill neighborhood in Seattle. It’s owners, Bruce and Sara Naftaly previously owned Le Gourmand, a well loved fine dining restaurant with French Classics that closed in 2012. Now they are back on the restaurant scene, and the timing couldn’t be more perfect. It’s been a very chilly winter in Seattle, and no, it’s not always raining, except this week it has been a complete downpour, and no one can drive. 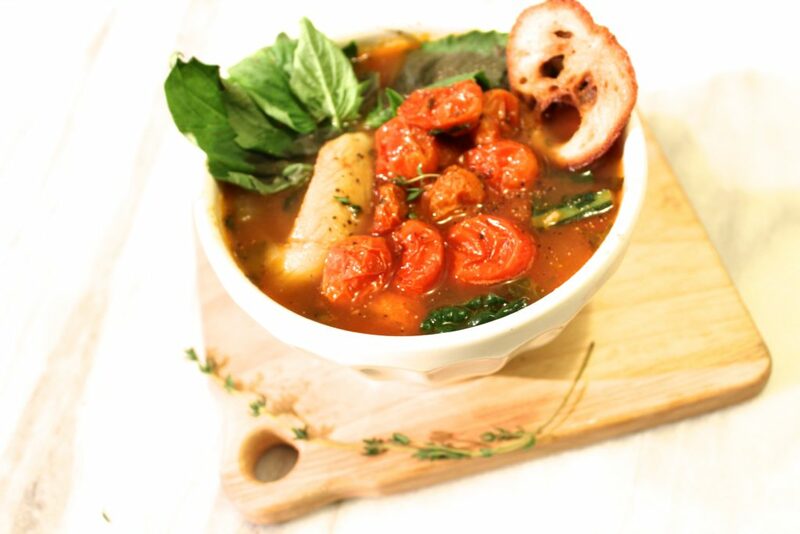 But what better way to stay away from the crazy streets than to cozy up for lunch! Tacos are the universal go-to food for anyone who’s looking for something quick to eat, and they offer a unique versatility and variety. The thing that I like the most about them is that almost everyone you know loves to eat tacos! In fact, we as a society take eating tacos so seriously that we created “Taco Tuesday,” a day in the middle of the week dedicated to celebrate eating them. You won’t be able to find a website for Tacos Chukis. I’ve heard that this place is like the Fight Club of tacos. Supposedly you don’t talk about Tacos Chukis unless someone is bringing you there for the first time, or you bump into it. In fact you only know about Tacos Chukis from Seattle natives like myself OR most likely you’ll see one of your friends post on either Instagram, Twitter, or Facebook. If you’re a Seattlelite, coffee runs through your bloodstream. You’re constantly searching for the next best thing. Well, I’m here to tell you that Empire Espresso is stiff competition and with Amandine Bakeshop right by its side, you are bound to fall in love. 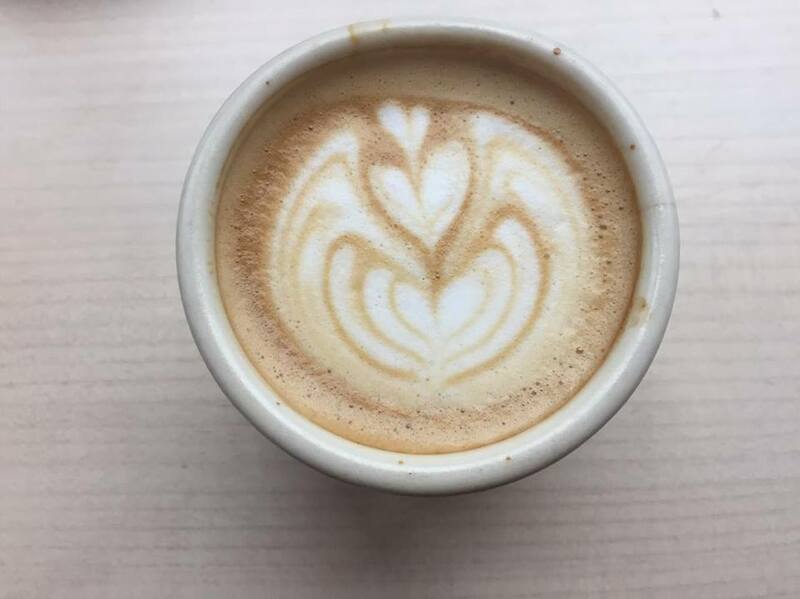 Empire Espresso has been around for 7 years, with locations in Capitol Hill and Columbia City. Owners Ian and Natural put a lot of thought into the process of making coffee, from the type of drinks they serve to the employees and even the milk. This attention to detail makes all the difference. They make their cashew milk in house, turn that into a Chai latte and you’re good to go! Need a pastry? 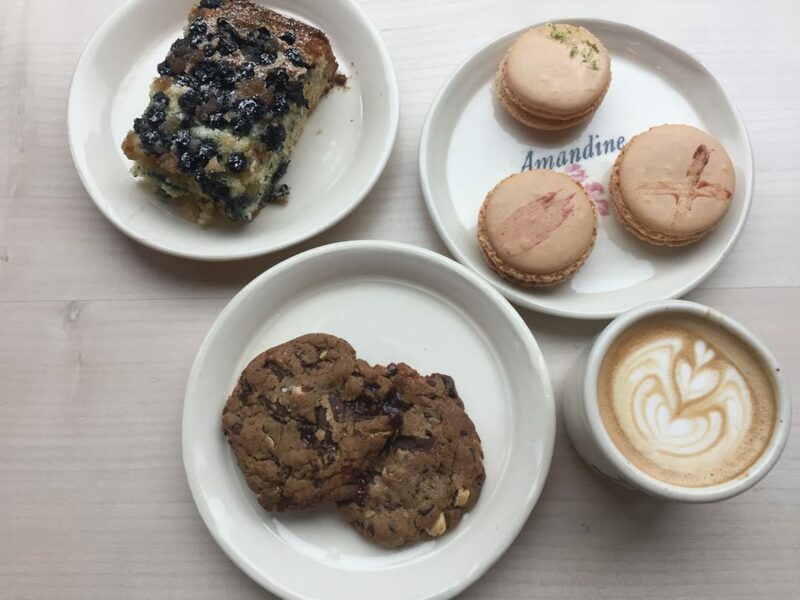 Amandine Bakeshop bakes all of their goodies right in front of you. 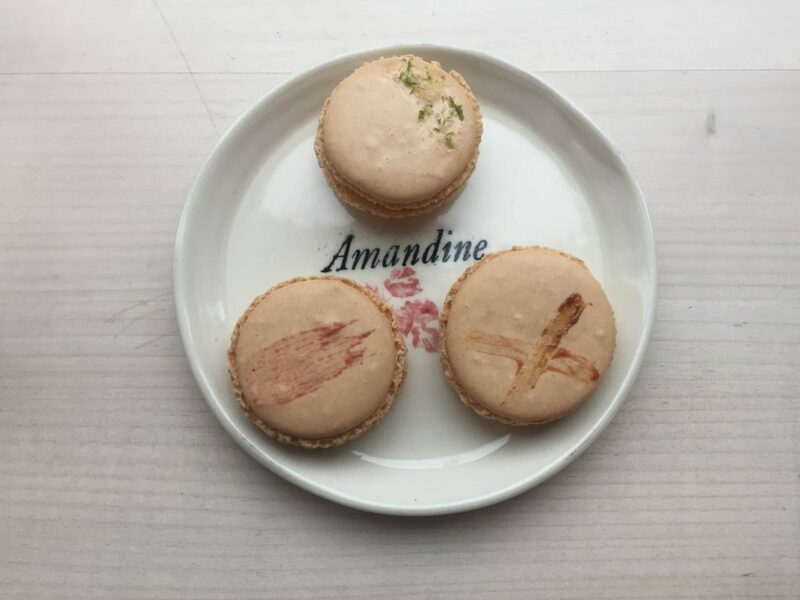 Chef Sara Naftaly and her team provide most delicious assortment of daily macarons (featured: Lime + Tahitian Vanilla Bean, Guava + Cajeta and Indian Blood – Peach). My favorite pastry? 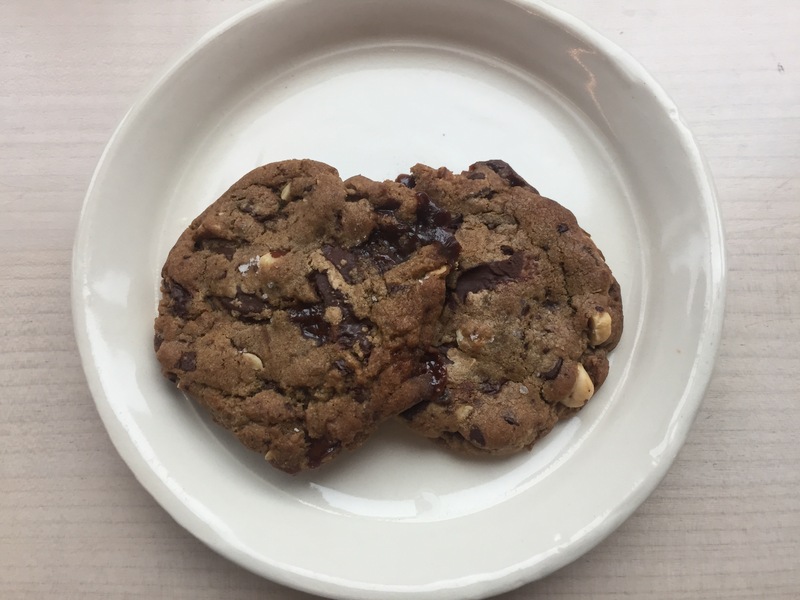 Their chocolate, carambar, sea-salt and hazelnut cookie. 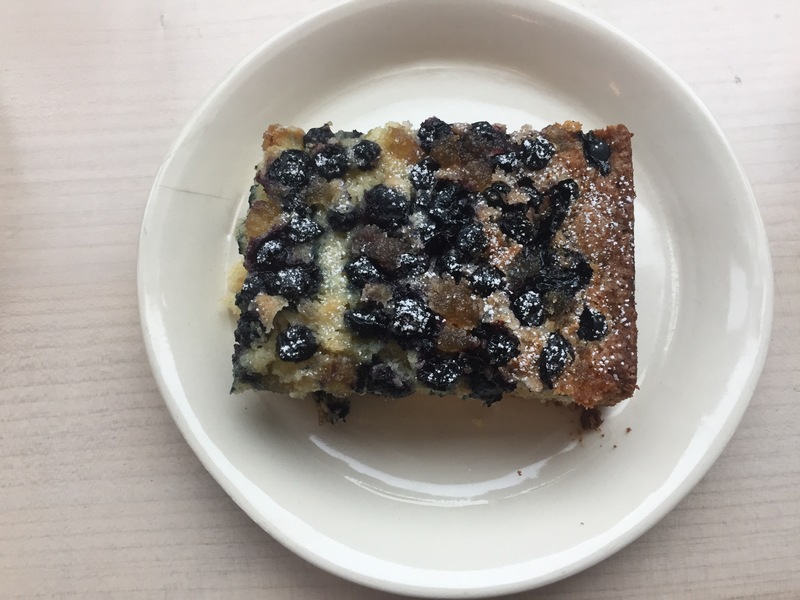 When you visit, be prepared to get a slice of cake (featured: Buttermilk Cake with seasonal berry (mine was blueberry) and candied ginger). And if you’re feeling adventurous, try the macaron ice cream sandwiches! Empire Espresso was also featured in Seattle Met Magazine for Best Coffee shop in Columbia City/ Capitol Hill. Treat yourself, grab a coffee and a pastry and enjoy their upstairs area. When most people think of Seattle, they typically think of grunge and gloom. 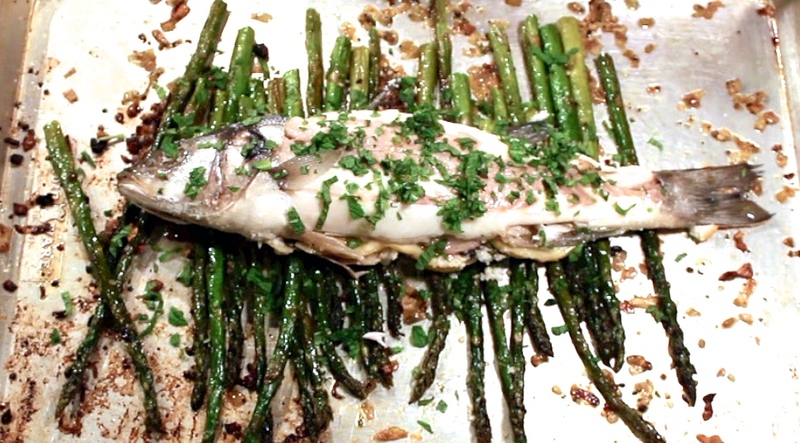 The second thing you may think of is a gigantic fish being tossed around at Pike Place Market. Imagine a place where you get the same amazing seafood, but in a way less touristy area. That’s Seattle Fish Guys! 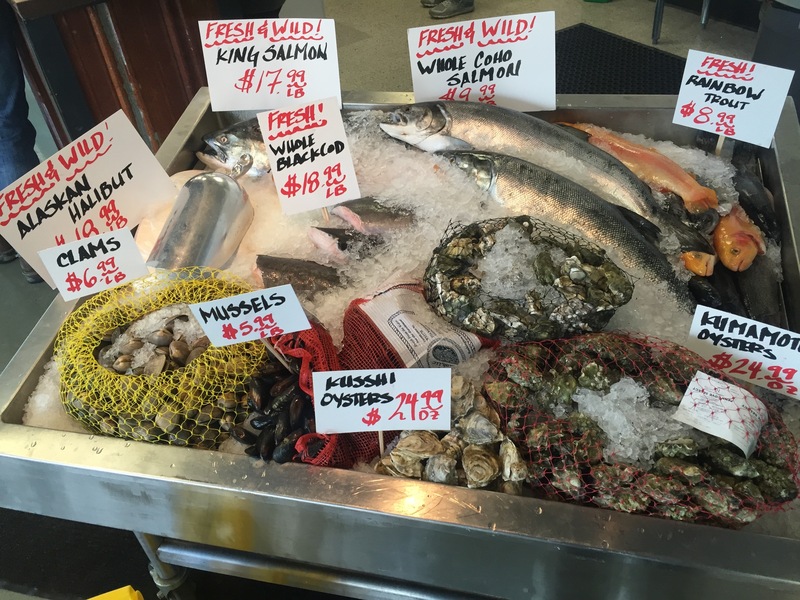 Seattle Fish Guys opened this September in the heart of the Central District. The Guys kicked things off at their grand opening with a lion dance for good luck, a mussel eating contest and free samples for people in the neighborhood. 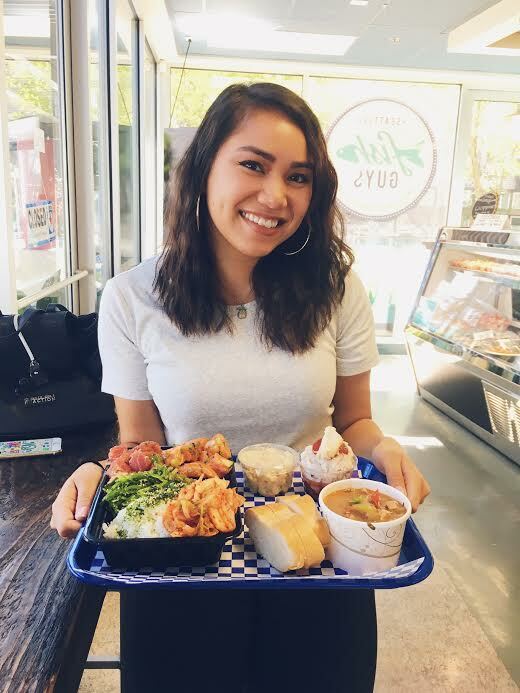 The owners, Sal Panelo and Desiree Chinn, are Seattle natives who believe in high quality seafood and superb customer service. There’s nothing better than having a neighborhood fish monger, like Sal, with 32 years experience. Their seafood is fresh. One bite of the salmon poke and you’ll fall in love. They have a rotation of oysters, hearty shrimp and crab cocktails. If you need to warm up, they have a fantastic clam chowder. Check it out for yourself, you won’t be disappointed. A couple of days ago, my friend and co-worker, Quinn and I had a great idea to indulge in our pun obsessions and decided to try a little piece of the Middle East (Get it? Piece? Middle East?). Essentially doing a food crawl and sampling everything at a local Middle Eastern restaurant and its vegetarian sister restaurant next door. The same people own both Mamnoon Street and Anar, Racha and Wassef Haroun. They also own another restaurant in the Capitol Hill neighborhood, also called Mamnoon, but there you can sit down and enjoy cocktails with your food. The Haroun’s came to the Pacific Northwest to work in the tech industry. They decided to plant roots here and brought a bit of their Syrian/Lebanese heritage with them into the restaurant scene. 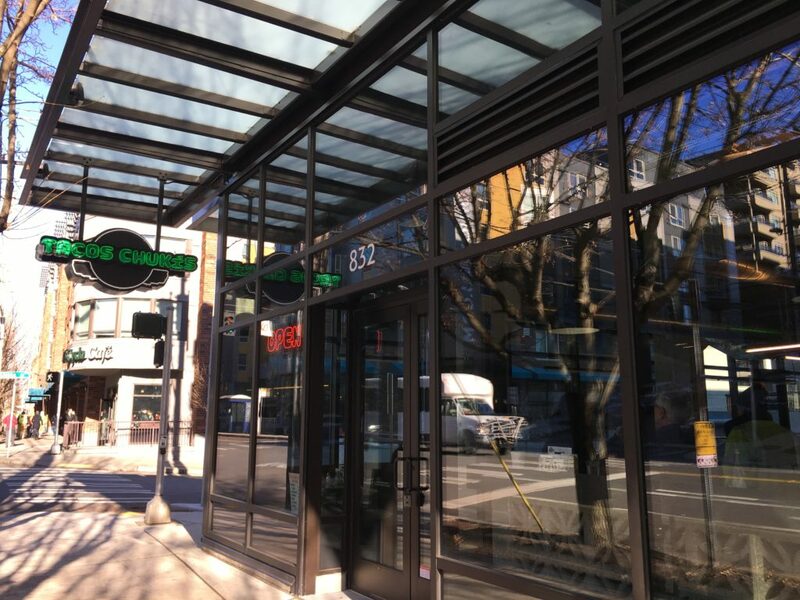 They have found their place amongst the foodies and have expanded their availability and visibility by opening up two more locations in the Amazon campus in downtown Seattle. 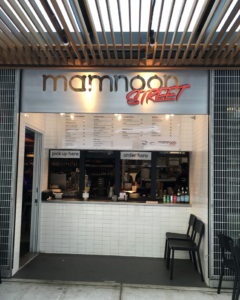 Our first stop during our food crawl was Mammon Street. We opted to sit outside in the wind, as opposed to dining inside like a rational people would. However, sitting outside when it’s NOT raining in Seattle is a treat one can enjoy when the opportunity arises. I ordered both the lamb and chicken shawarma. I had every intention of eating just a little bit of both to give a fair review, but as soon as I started to bite down into the lamb, I couldn’t stop. I began to feel full right away, and I wasn’t even a 1/4 of the way finished with it. 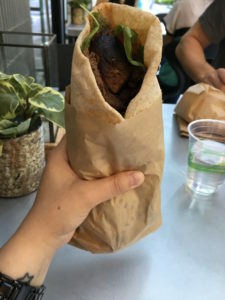 So I knew that trying the chicken shawarma would have to wait until later, but it eventually went into the eager hands of my Uber driver later that afternoon. Quinn wasn’t as ambitious as I was (since I suffer from eyes bigger than stomach syndrome), so he ordered a kefta arayess aka sandwich with a side of halloumi cheese. Of course, there was no waiting to take a pic for this guy. He’s all about business and just started noshing. 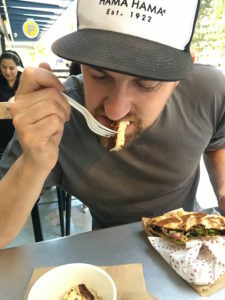 I was able to snag a little bite of the kefta arayess and was struck by the perfect balance of seasoning in the ground beef and the saltiness of the halloumi. Eventually, Quinn gave up and decided he was full while I still wanted to go to Anar. Anar is right around the corner from Mamnoon Street. The vibe inside looks like a typical juice bar with the display of fresh veggies. I’ve been there before, and I die for their iced Turkish coffees. 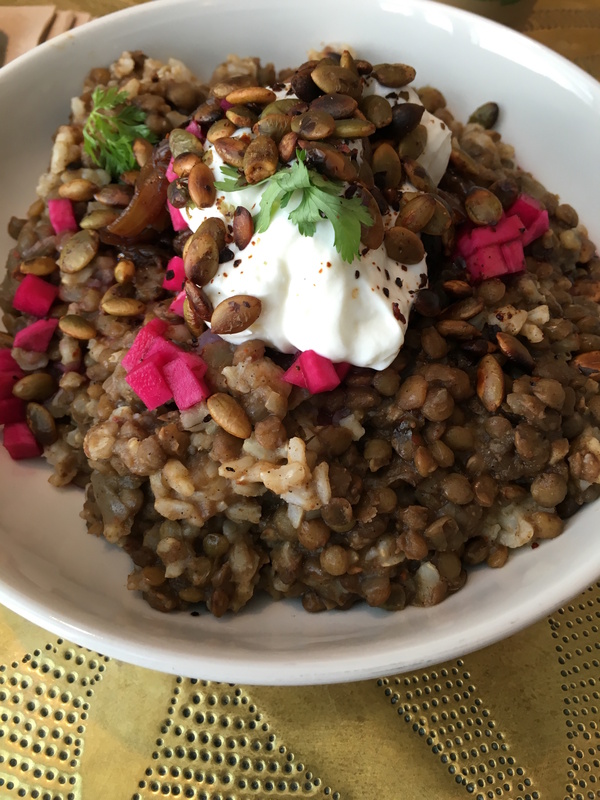 But what I’m really all about is their lentil and brown rice dish called Mujadara. Topped with pickled turnips and Greek yogurt, this dish is also extra filling. I knew that I would be eating this for leftovers during the week because it might not look like a lot of food, but it’s a lot of food. I did manage to take a few bites, but honestly I could have exploded at that point. Also, I couldn’t leave without getting the chia seed pudding topped with apricot jam for the road. Again, this is something to be enjoyed when you have room in your stomach. 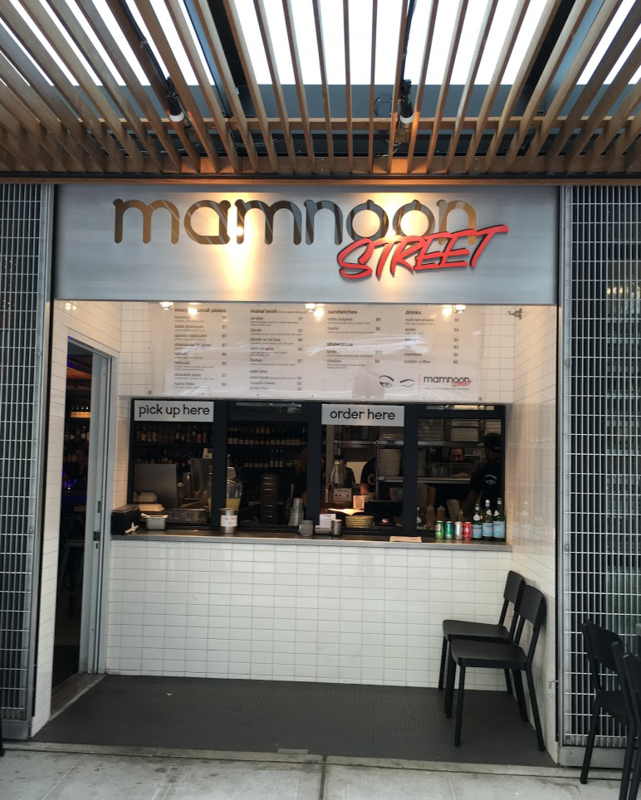 The price points for both Mamnoon Street and Anar are relatively reasonable, and you get a huge bang for your buck. I don’t recommend driving to their location because parking is awful in this part of downtown Seattle. If you are in the area and are looking for a better option than Thai food or a sub sandwich, either one of these fantastic places will be a welcome change for your taste buds! 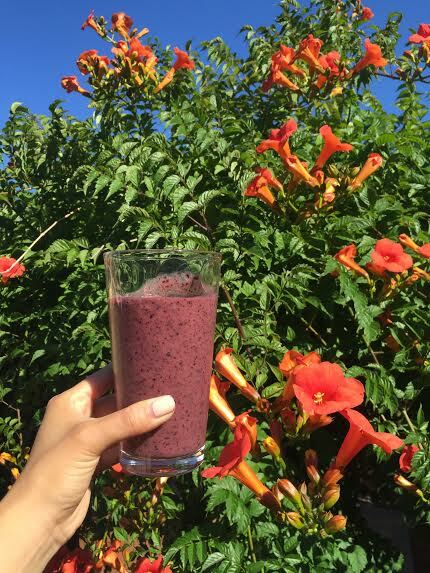 Whether you’re out berry picking or buying loads of berries, I have the perfect smoothie recipe for you; it’s also very healthy! 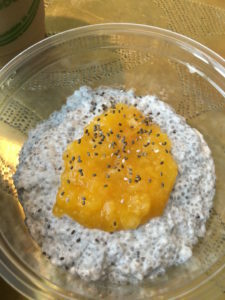 Throw it all in a blender, and blend until smooth! Sit in the sun, and cool off with this delicious smoothie. 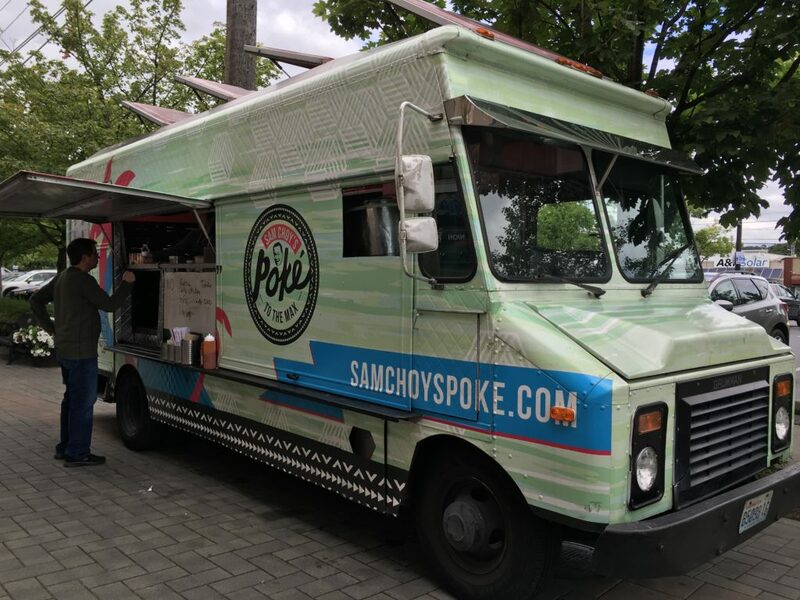 Each day from Monday to Friday between 11:00 am – 2:00 pm, different food trucks park in front of the Starbucks Headquarters located in SODO (South Downtown Seattle). On Fridays, Sam Choy’s Poke to the Max is there in a sea foam green truck on the south end of the parking lot. The first time I came here was a few weeks ago while I was working out of an office nearby. So I decided to go back again today, because I can’t seem to get enough of that good stuff. 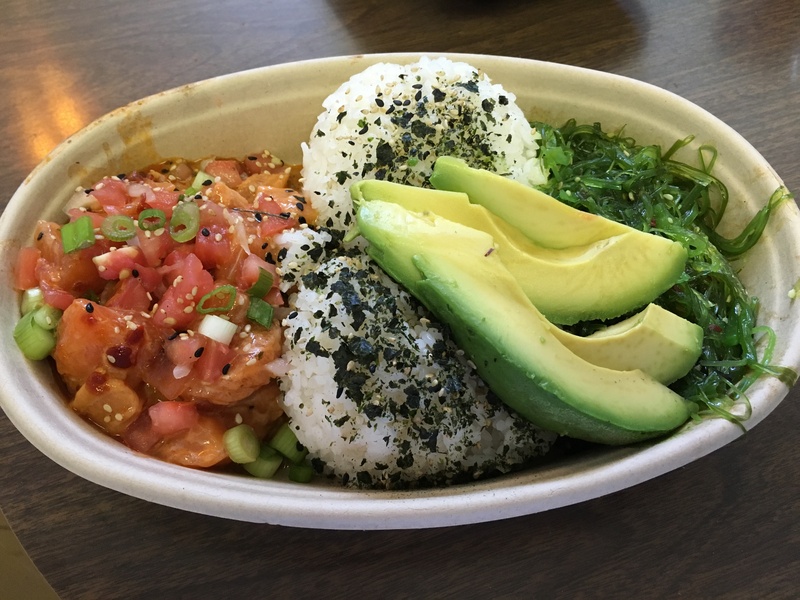 I ordered the poke rice bowl with salmon in spicy shoyu and added avocado. Something fresh, light and flavorful without being too fussy sounded appetizing and this did not disappoint. It’s also more than enough food for one person. 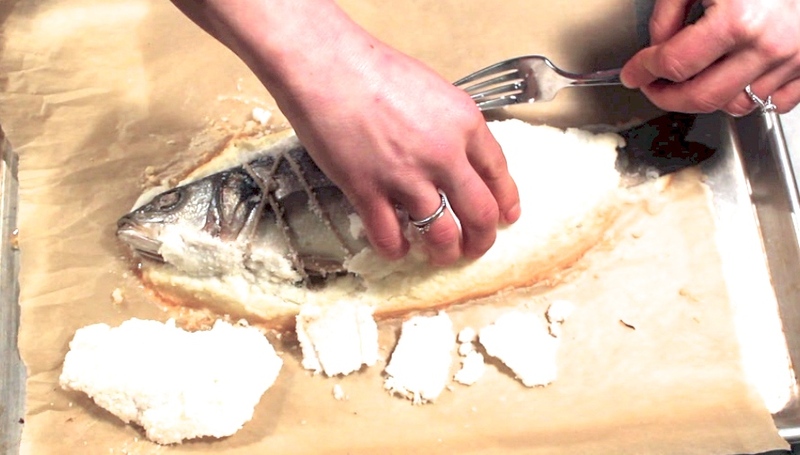 For those who don’t like uncooked fish, they can sear yours or cook it all the way if you request it. There is also a tofu poke option for people who don’t eat fish or are vegetarian. 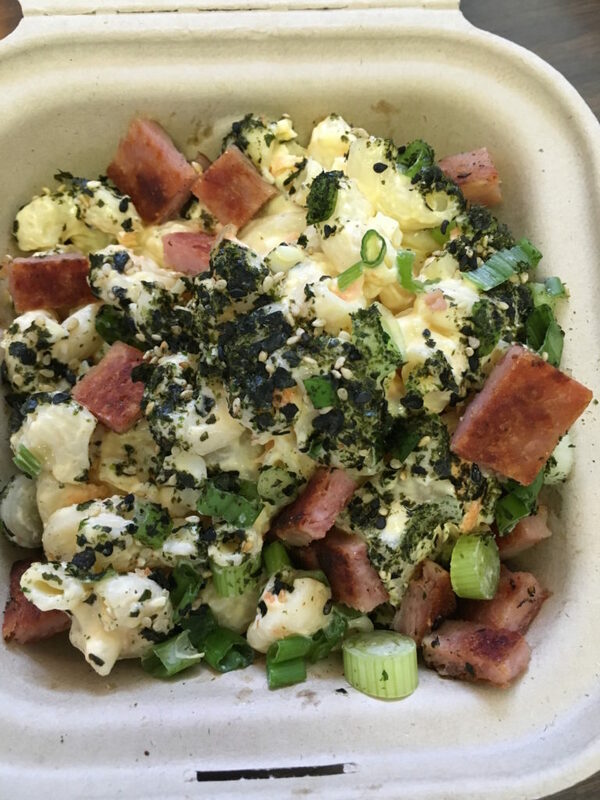 Whenever I go to a Hawaiian food joint, I have to try the mac salad. Otherwise I feel like I just got a burger without the french fries. It just has to be ordered or it’s not a complete meal. The mac salad had the right combination of salty and light sweetness, with the pop of onion bursting in my mouth. I asked to add spam which was cooked on the slightly over done/burnt side, but I liked it that way. I thought it enhanced the flavor profile and created a smoky taste. 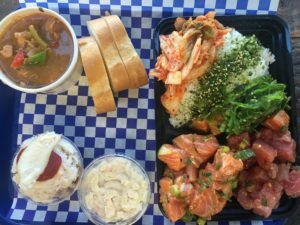 Other things on their menu include Aloha Chicken, Kalua Pulled Pork, Loco Moco (ground beef cooked and served over rice) poke wraps and salads, and their version of Masubi (seaweed wrapped around sticky rice and a slice of spam). Check out their website and see where their food trucks are scheduled, or go visit their restaurant in the Hillman City neighborhood in the Rainier Valley. 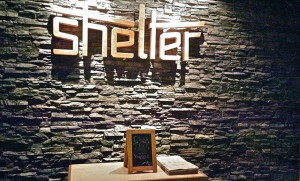 Before I even knew what the Shelter Lounge was, I could tell it was the place to be. I saw the new restaurant for the first time just a few days after it opened. 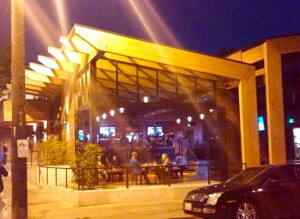 Already, it was filled with patrons who looked like they had claimed their stake on its lake view seats years ago. 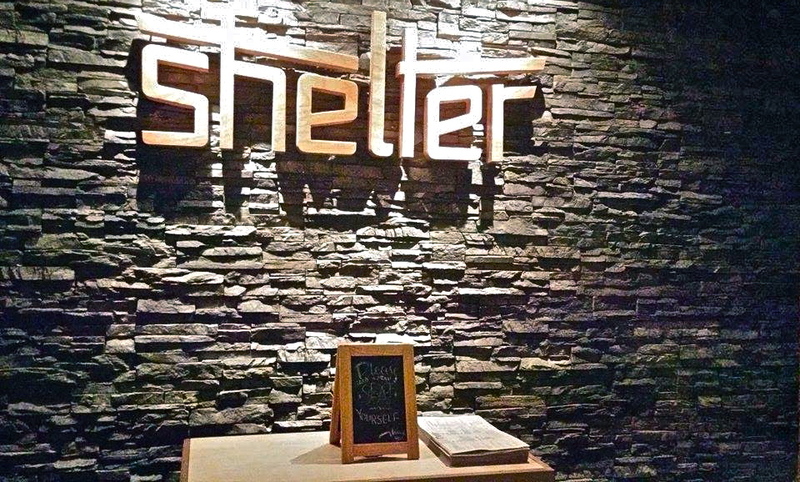 The Shelter Lounge, it became clear to me, was the Central Perk to the “Friends” of Green Lake (sub cocktails and craft beer for coffee). I decided then that it was my mission to get inside. 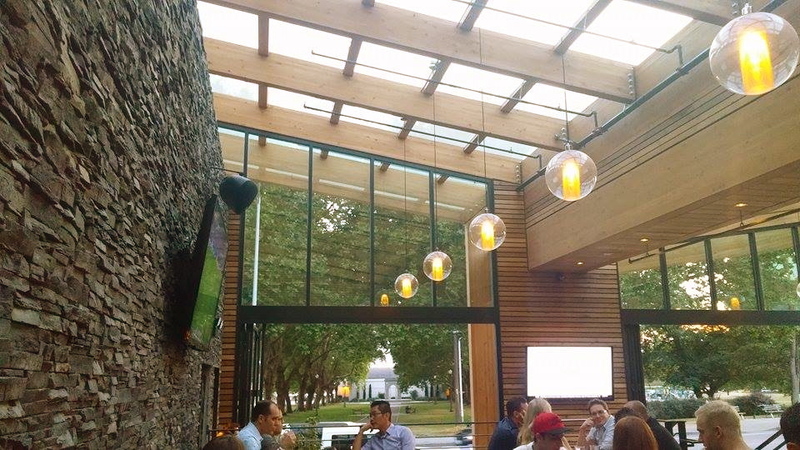 From the boisterous atmosphere to the colorful list of cocktail options to the stunning view of Green Lake, the Shelter Lounge offers a fun niche for neighbors and friends to take “shelter” in. And, although it didn’t appear sports-bar-esque from the outside, it definitely is on the inside. I’m thinking Seahawks season will be extra exciting this year for the Twelves of this neighborhood. Just two of the many TVs. Because there were so many cocktail options and I’m the least decisive person I know, I chose the first drink that stood out to me to make things easy. Wait, does that make me decisive then? 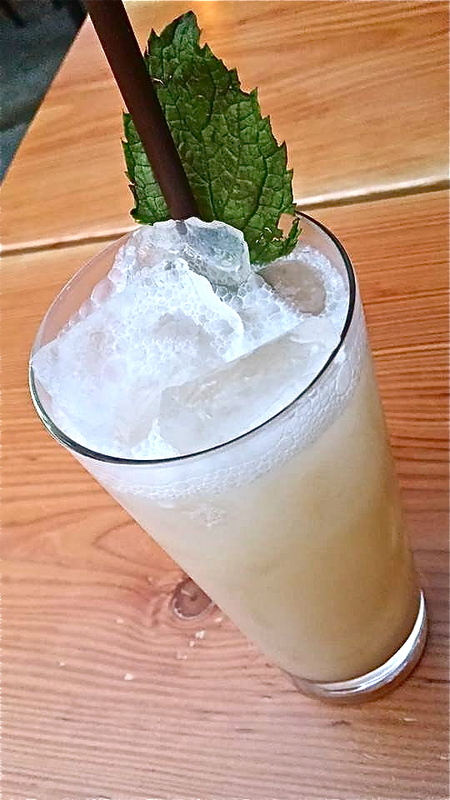 The El Pato cocktail is made with Flor de Cana White Rum, Giffard Banana, Chocolate Bitters, Coconut Milk, and Lime. I’ve never been a rum girl, but I may be rethinking my alcohol preferences. 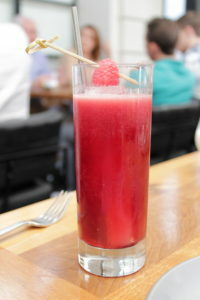 What a delicious and summery drink! According to my waitress, it’s also a huge hit among the lake lovers here. We like to pretend we live on the beach, ya feel? After I thought I had finished the entire thing (I knew I was done because it made the slurping noise everybody loves hates), my waitress came to remove my glass, but told me she wouldn’t take it yet because there was still some left…apparently, people get overly possessive of their El Patos. I tried to insist that I indeed was done and she could take it, but she must have experienced some seriously thirsty customers in her one month of working at the Shelter Lounge, because she would not. take it. away. Not bad, just funny. Naturally, my indecisive-impulsive behavior transcended into dinnertime, therefore leading me to choose the least compatible combination of food and drink. Who pairs “coconut tropical island getaway” with “carbs, hot sauce, and more carbs”? This foodie. Good thing it was delicious. Complete with cucumbers, radishes, onions, carrots, cheddar cheese, “5- Spice Pickles”, Sriracha mayo, and three slices of bread , the Veggie Dagwood Sando is the vegetarian dream. It is also, might I add, really REALLY hot. Or maybe I’m just a baby. Either way, my strange food/drink choice actually proved perfect, as the coconut milk complemented the heat that Sando brought into my life. Really though, what is in those 5-Spice Pickles?? More like Five-Hundred-Spice Pickles. Any more and my coping mechanisms would have left me four El Patos deep. Profitable move, chef. If the heat kills me, at least I’ll die satisfied. Pickle-induced tears aside, I will definitely be headed back to chill at the Shelter Lounge soon. I loved my drink and my food. What a great place to live a fifteen-minute walk from! SO MANY MORE UNIQUE COCKTAILS TO TRY. Before I go, I’ll also share that I even risked my life to get a photo of the restaurant from the outside. I’m going to blame oncoming cars and my Android for the far from premium photography quality. Enjoy. Who wouldn’t want to hang out here?! 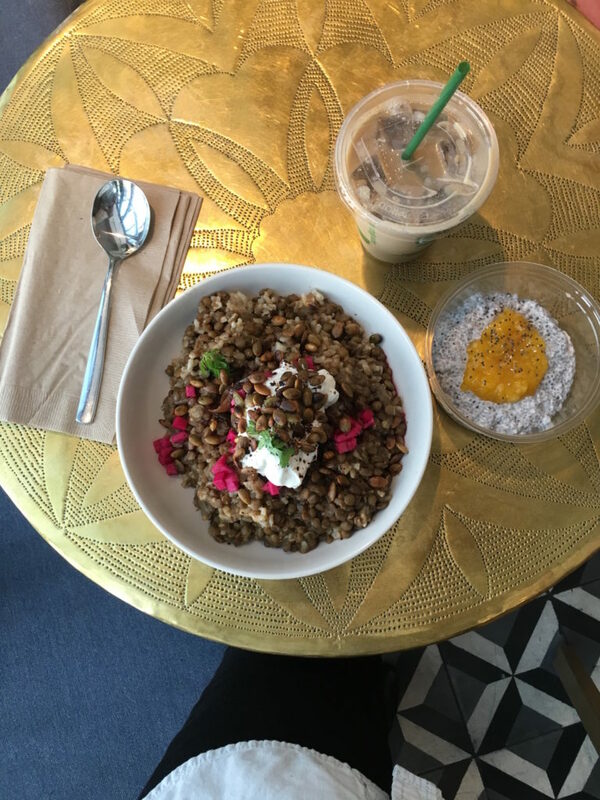 I know Seattleites have a sorry reputation as food snobs – lots of kale, juice cleanses, vegan-paleo-hippy salads – you get the picture. 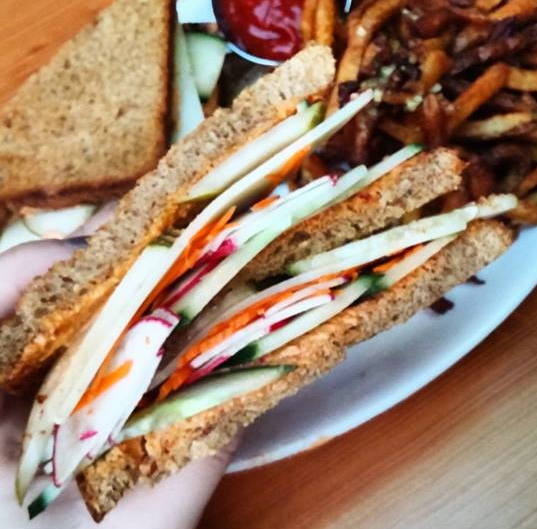 Like it or not, often times, I fall into that crazy Seattle eater-type myself. I’m a firm believer in the power of produce, plant based meals and healthy side of Seattle-made craft kombucha. Lucky for Mr. Gyros and me, I’m also a firm believer in the power of a good gyro. And the gyro after which Mr. Gyros is respectfully named, dear readers, is an outstanding example of a good gyro. The menu is simple, but chock full of options. I always get the lamb gyro. It’s seasoned with love, and the lamb comes right off the spit. The whole things gets wrapped perfectly in it’s pita next to creamy tzatziki and hummus. 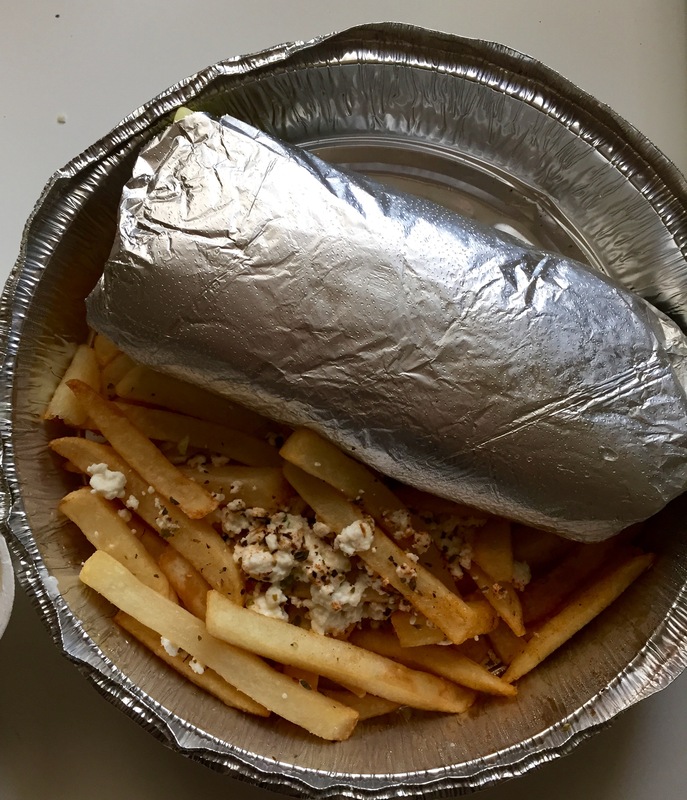 Always opt for the basket – a side of Greek fries (fries topped with feta cheese and spices). For those of you wanting a meatless option, the falafel is a treat – spiced and cooked to just the right combination of crispy on the outside and soft on the inside. 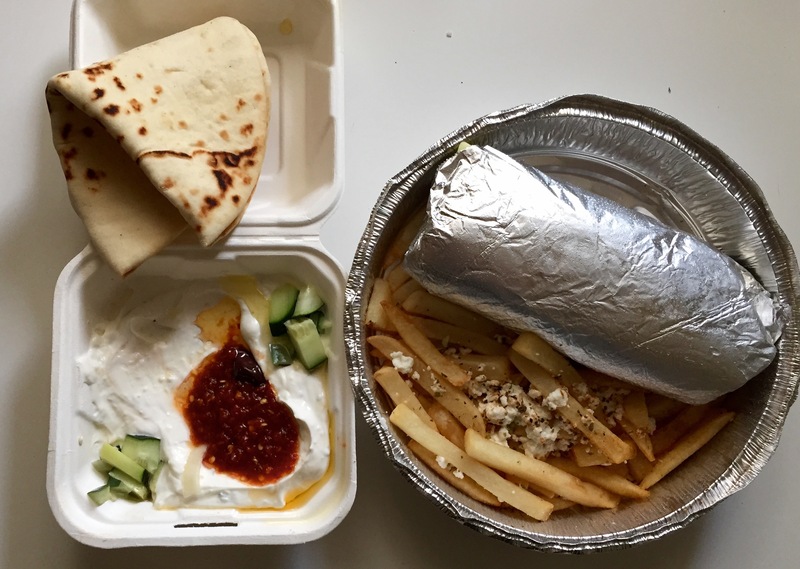 Be prepared for messy eating (especially if you indulge in my recommended lamb gyro). There is hummus, tomato, cucumber, lettuce, onions and (obviously) lamb all fighting for a spot in your mouth. The flavors compliment, and are just exciting enough to make one feel as if they are not eating a meal that cost less than $10 bucks and took less than 5 minutes to prepare. Mr. Gyros is, admittedly, a Seattle institution. I would like to say it’s the city’s best kept secret, but, alas, the secret of the awesome Mediterrian food is out. 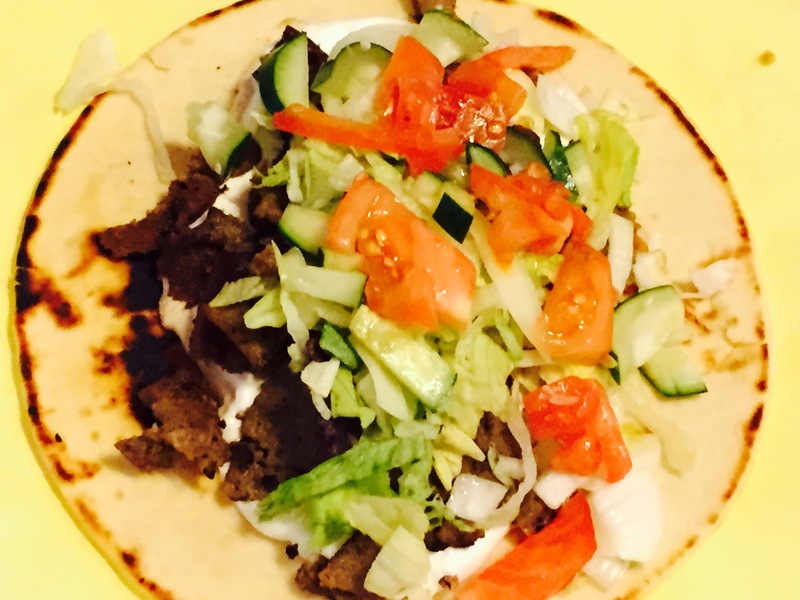 Mr. Gyros has won several awards, including being ranked one of the top 100 restaurants in the US on Yelp. You’d think all that fame would go to their heads, but you’d be mistaken. Mr. Gyros is potentially the friendliest place I’ve ever eaten. I see the owners, who happen to be brothers, (Sammi and Joni) all the time – because they are often slicing meats and rolling pitas behind the counter. 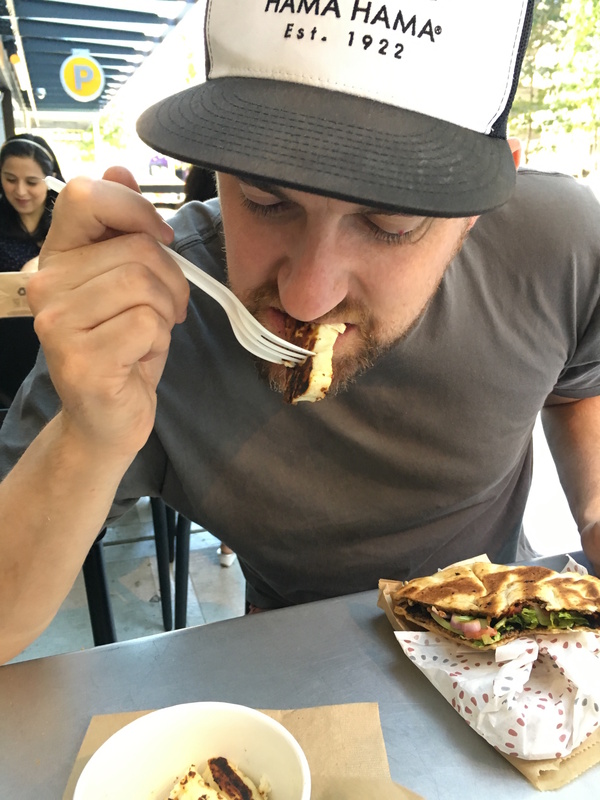 They feed me gyros and don’t judge me for eating un-lady – like amounts of lamb. I’m a Greenwood girl myself, so I always head to the tiny cafe located gloriously close-by. There are three locations of the gyro wonderland to choose from, plus a Mr. Gyros food truck that makes the rounds. I always get my meal to-go – even when there is a line out the door things move quickly. The only bad thing about Mr. Gyros? They aren’t open on Sunday. Check the times before you go, and bring on the gyro.